Kids are out of school, travel arrangements have been made, guest rooms have been readied, and everyone is feeling merry and bright…so, why aren’t lice taking a break? Do you ever wonder WHY (oh, why?!) 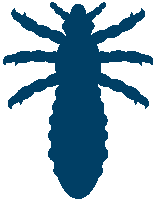 head lice outbreaks seem to increase over holiday breaks? If you have kids or are around them regularly, you may have noticed that there are certain times of the year when you hear more about head lice outbreaks than usual. You probably notice more talk about it after school has been out for spring break, over summer vacation or during the holiday breaks. But, have you ever stopped to think about why the head lice talk is so rampant during these times? Guess what? Hugs give you bugs. Picture this: Your family and friends come to town for a visit and stay overnight. The kids crawl in and out of shared sleeping bags, beds are shared due to limited space, hats and coats are getting traded, and even hair accessories or brushes are being passed around. You’re excited to see everybody, the kids are excited to play together, people are hugging each other and everybody is taking pictures together. It’s everything the holidays should be…until you spot that tiny little bug crawling around on somebody’s head. Unfortunately, it’s not uncommon for a family that has been struggling with head lice to go for a visit and share their infestation. Lice travel on the head of their host and all it takes is a single hug or group selfie for them to crawl from one person to another. It’s generally not intentional and the families often believe that they have cleared the problem. But, it happens all too often and usually leads to some awkward phone calls after the holidays. So, does this mean you need to cancel your holiday plans and barricade yourself inside the house? Absolutely not! Using the tips below will help you and your family reduce the risk of contracting or spreading lice and that will keep all of us merry and bright during the holiday season. Schedule a head check as soon as school is out! Make sure your family is clear before traveling or receiving guests. 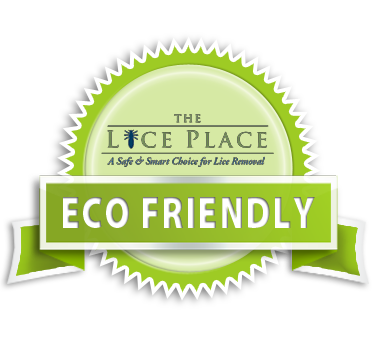 Re-start those weekly home checks using your Lice Place comb. Wear long hair up in a ponytail, braid or bun. Be sure to use your Lice Place deterrent products. The more minty you smell, the less desirable your head will be to a louse who wants to build a home there. For more information on lice treatment and prevention, contact the professionals at The Lice Place for prompt attention and resolution.